Dave Bickers on his Greeves. Note that the steering head and front down tube are cast aluminum, the rest of the frame is chromoly steel. 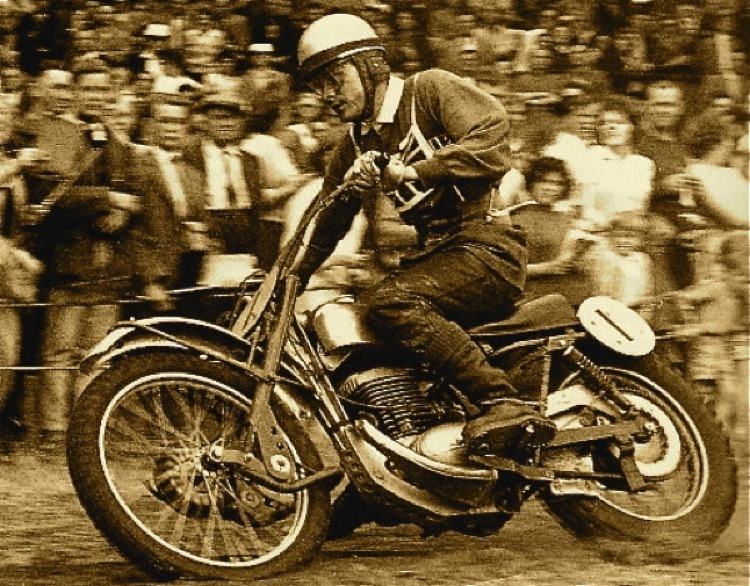 Dave began competing in motorcycle scrambles at the age of sixteen and was so successful that he was rewarded with a sponsorship from the DOT motorcycle company. His riding talent got him noticed by Greeves factory rider, Brian Stonebridge, who then recommended that Bickers be hired by Greeves in 1958. 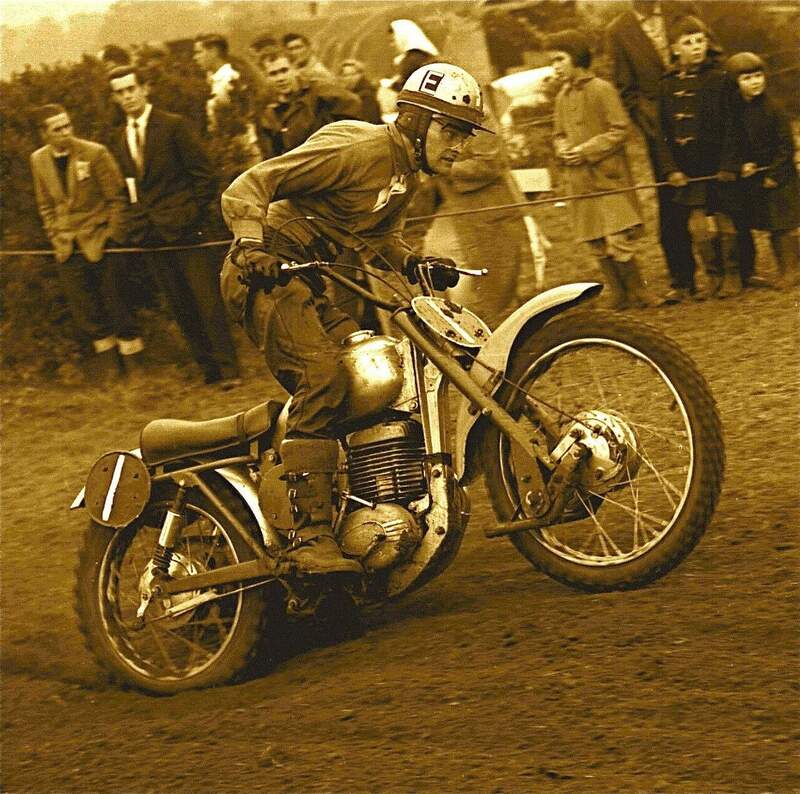 He won two consecutive 250cc European motocross championships in 1960 and 1961 for the Greeves factory racing team. The European championship was considered to be the “world championship” at the time, as the sport of motocross had yet to develop outside of Europe. Dave Bickers on the Greeves he made famous. Bickers was a member of British teams that won the Trophée des Nations event in 1961 and in 1962. 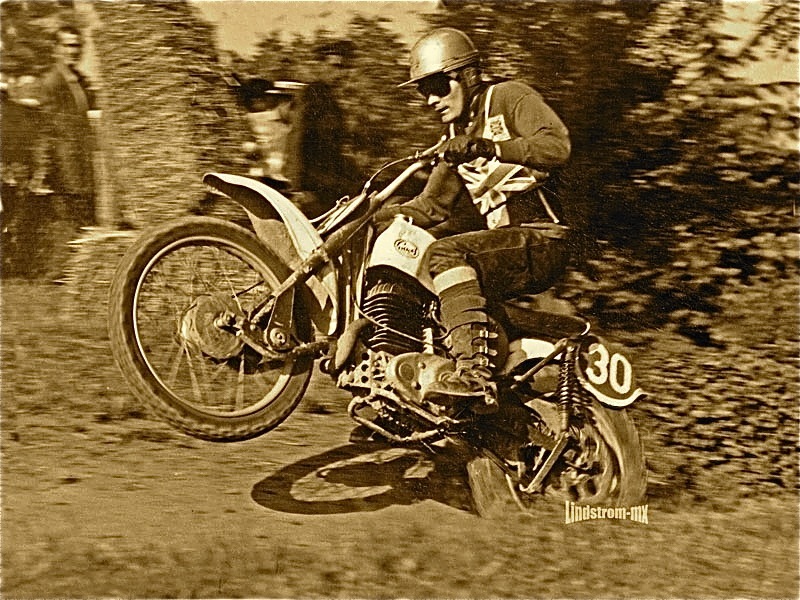 He also helped British teams win the Motocross des Nations in 1966 and 1967.